I’ve written before about the way that certain foods bring back palpable memories. Fresh pasta makes me think of warm nights and long meals with my mom and dad when we visited Italy seven years ago. Wedding soup reminds me of my paternal grandmother’s kitchen, and stracciatella reminds me of my maternal grandmother’s kitchen. I can’t make stew without being transported to our old house in Forest Hills, feeling so warm and comforted by my dad’s version after swim team practice in mid-winter. Sirloin tips with thyme and mozzarella bring me back to Davenport (my college dormitory), and the first meal I ever cooked for Joe. And funnel cake, a food which most people associate with fairs, surrounds me with memories of my best friends from Northeastern, and one infamous powdered sugar fight. Gouda has somehow woven its way into several nostalgic spots in my brain. When Joe and I went to the Netherlands five years ago, I had the perfect grilled cheese sandwich. Fresh, bias-sliced baguette bread paired with a young, sweet gouda. Crisp and toasty on the outside with a warm, creamy inside. I paid no more than two euro for the delight, and ate it while we watched boats float effortlessly down the narrow canals. And then, Hamlet. When I lived in Cambridge, my friends and I went to see a performance of Hamlet in the garden of one of the colleges. It was the night of the Storm Bird sauvignon-riesling (an oddly cheap, but delicious wine), strawberries, a seriously good-looking Danish prince, and a rich gouda that tip-toed the line between sweet & soft and sharp & crumbly. It was just firm enough to cut slices without breaking apart. When my dad recently procured a gallon of farm-fresh raw milk for me on my most recent trip to Pittsburgh, it seemed only appropriate to try and make a cheese to remember: My very own gouda. 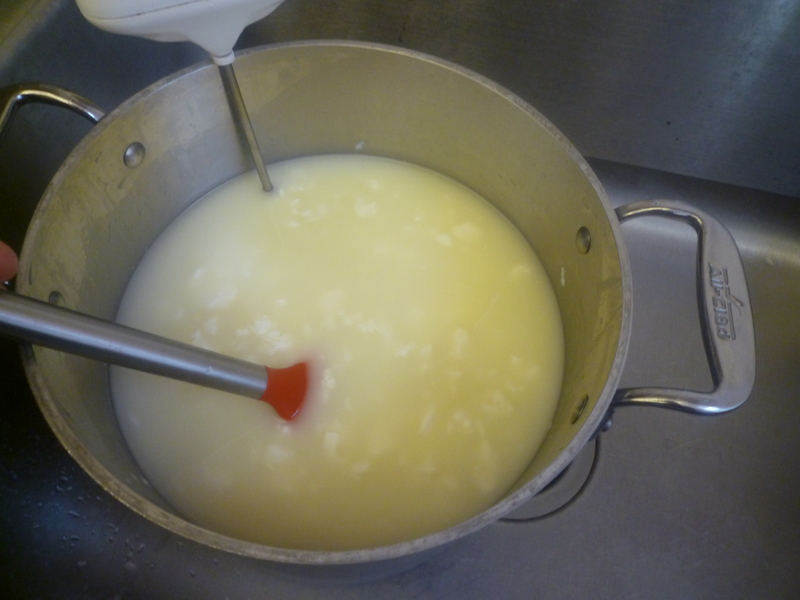 Pour the milk into a large pot and set it in a water bath warm enough to heat it to 90 degrees F. Once you have achieved this temperature, add the mesophilic starter and mix thoroughly. Cover the pot and allow the milk to ripen for 10 minutes, adding warm water to the bath as needed to maintain a temperature of 90 degrees. 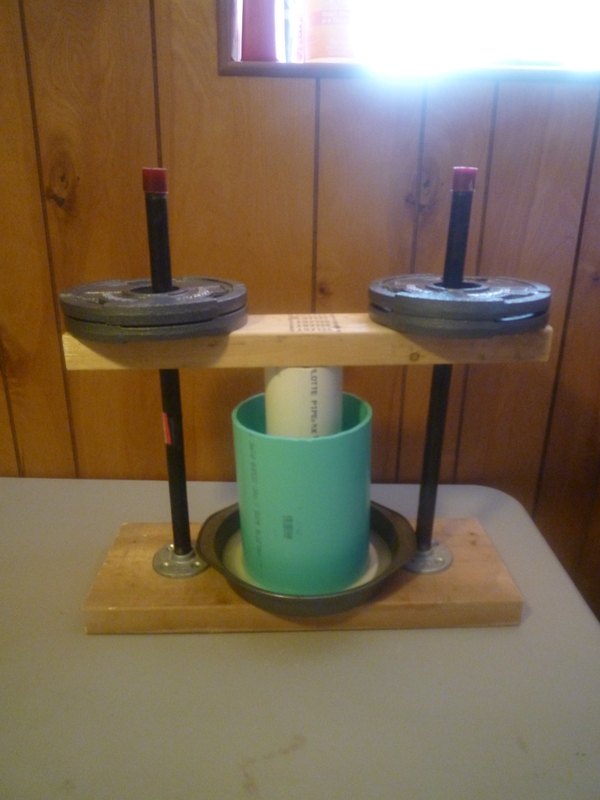 Add the rennet and stir in a slow up-and-down movement for 1 minute. 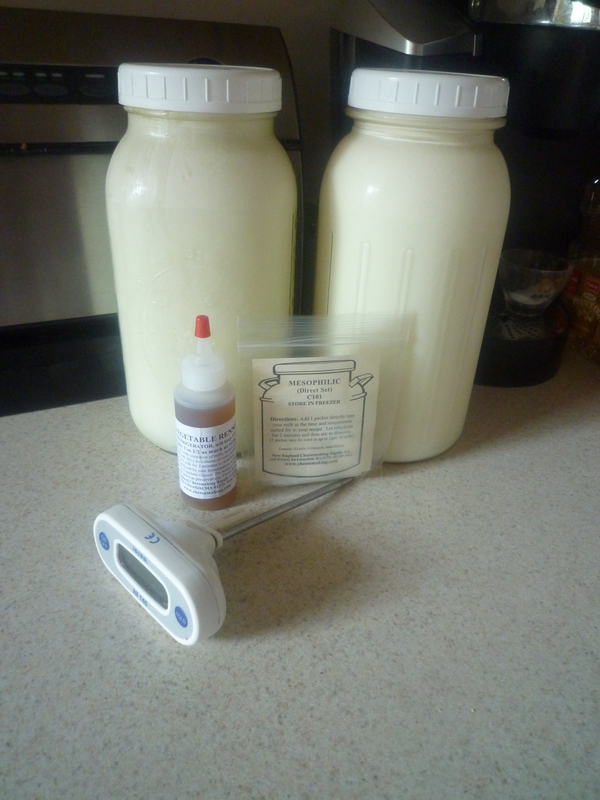 If you have used raw milk, stir for an additional minute. 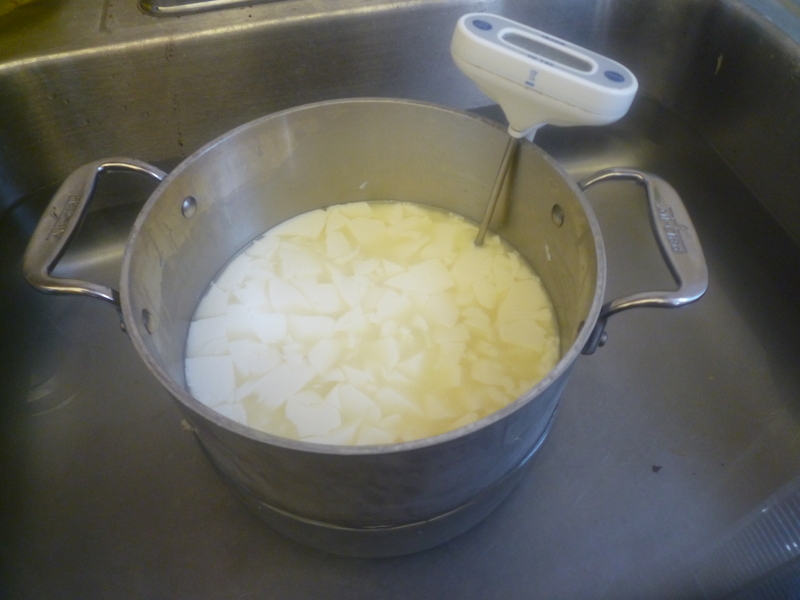 Cover the pot and allow the curd to set, maintaining 90 degrees F., for one hour or until the curd breaks cleanly when cut. 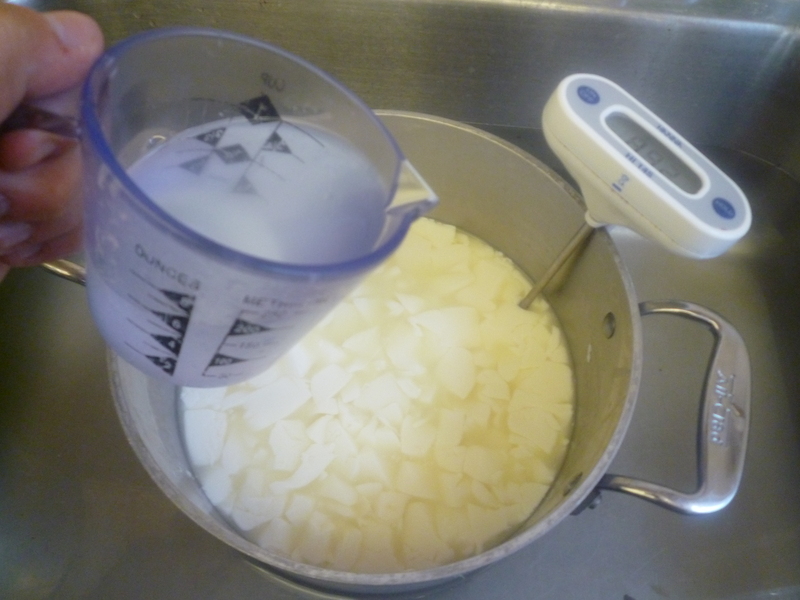 Heat a small pot of water to 175 degrees F.
Cut the curd into a checkerboard pattern and then crosswise into cubes, and let them sit for 10 minutes. Ladle or pour off 1/3rd of the whey and, stirring consistently, add just enough of the hot water to bring the temperature up to 92 degrees F. Cover the pot and maintain this temperature for 10 minutes while the curd sets. Ladle or pour off enough of the whey to bring it down to the level of the curd, and then again add hot water as needed to bring the temperature up to 100 degrees. 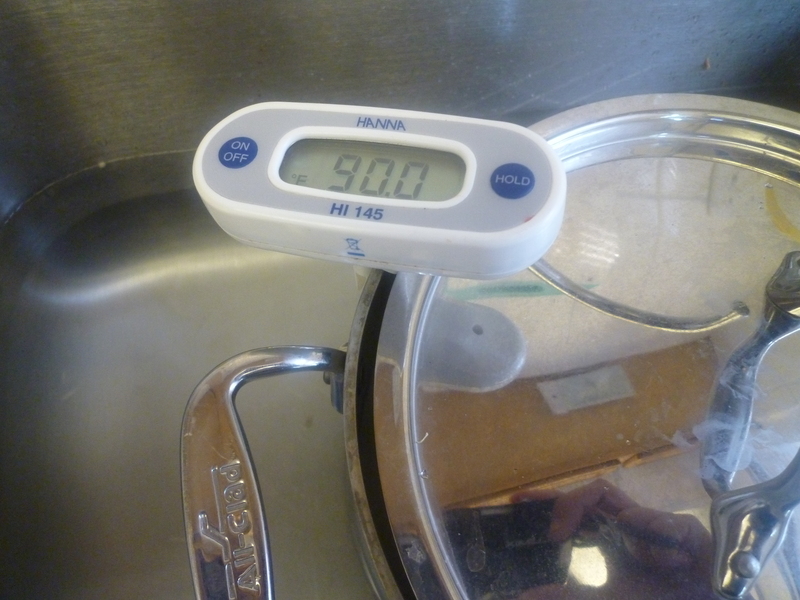 Keep the curd at this temperature and stir on and off for 15 minutes. 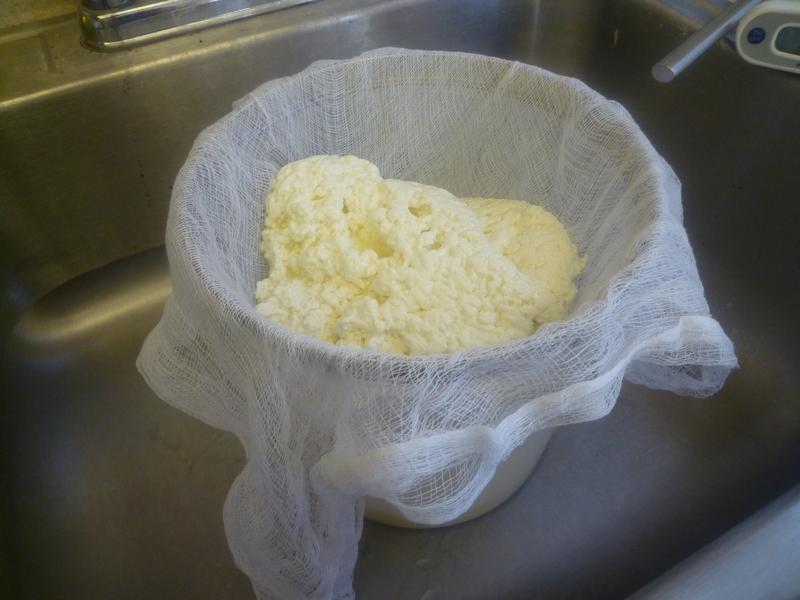 Pour off the remaining whey and gently pack the curd into a cheesecloth lined mold, breaking it as little as possible. 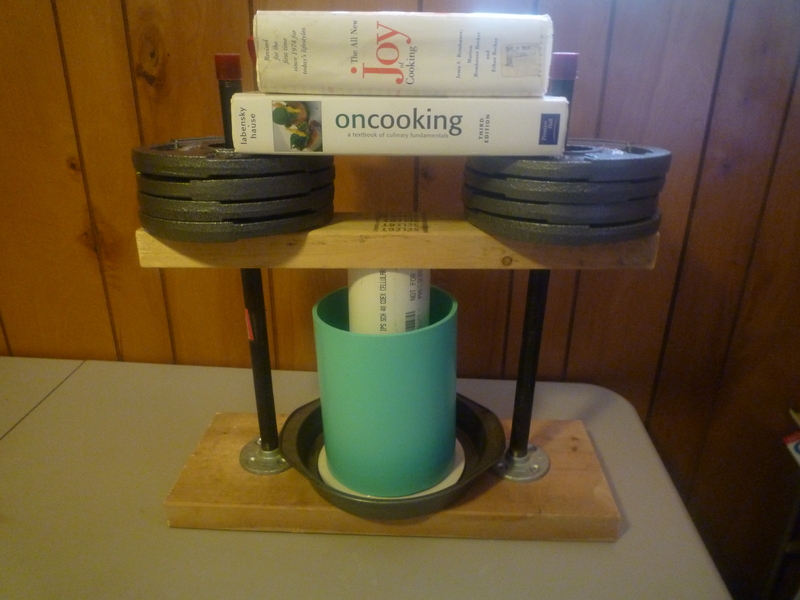 You can see how I prepare my cheese press in the demo for Farmhouse Cheddar Cheese. 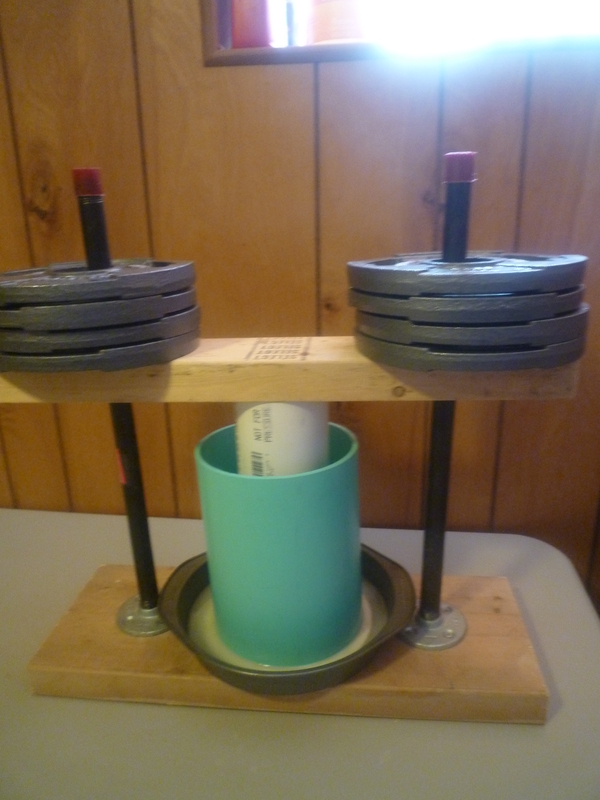 Press the cheese at 20 lbs. of pressure for 20 minutes. 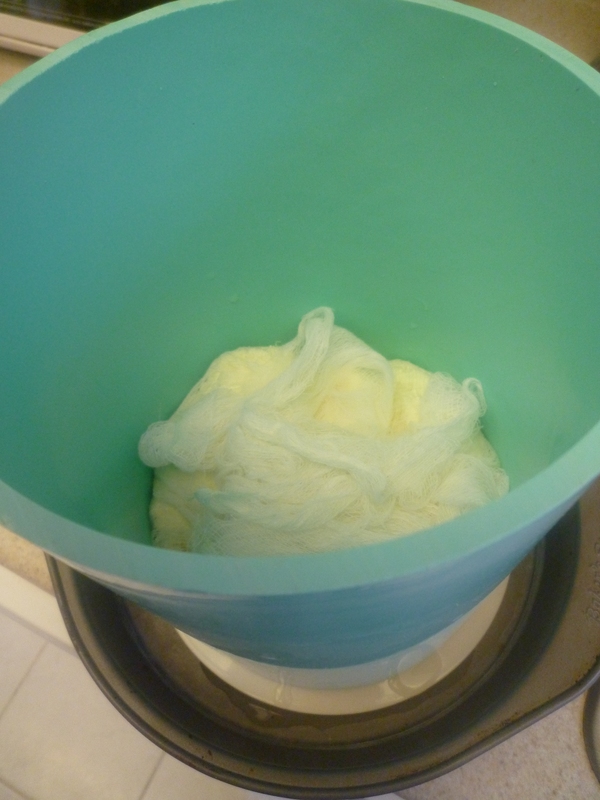 Remove the cheese from the cheesecloth, flip it over, re-dress, and press at 50 lbs. of pressure for 12-18 hours. Prepare the brine solution by mixing together the cold water and salt in a nonreactive container. Put the wheel of cheese into the solution and brine for 6 hours. 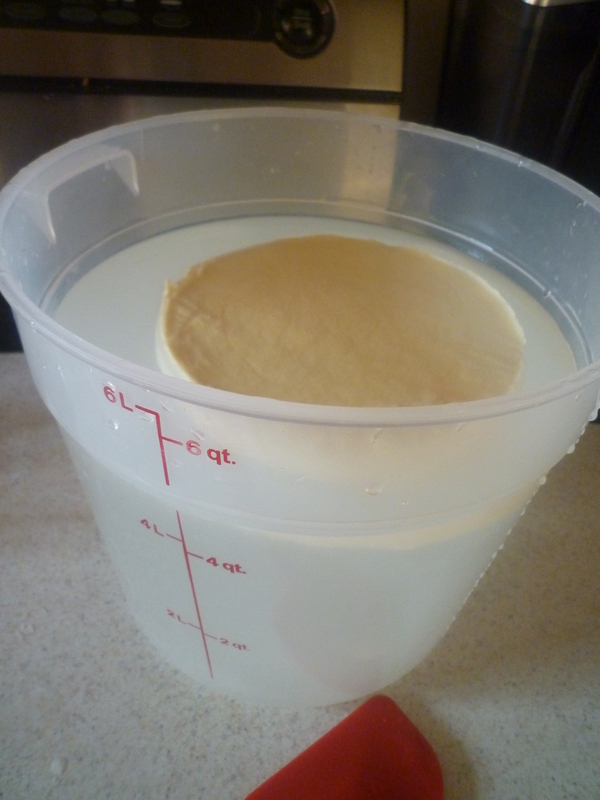 Remove from the brine, gently dry the cheese with a towel and move to the refrigerator. Air dry in the refrigerator for 3 weeks, turning every 2-3 days to ensure even drying. You may then wax it or allow it to develop a natural rind. If you notice any mold forming on the surface, simply wipe it off with a cloth dampened with white vinegar. 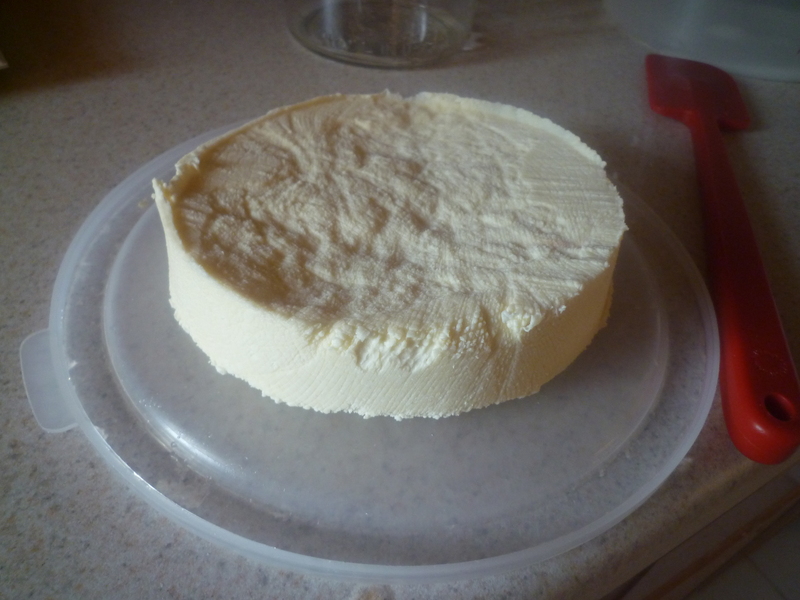 Age the cheese in a 56-64 degree environment with 80-85% humidity for 3-4 months. 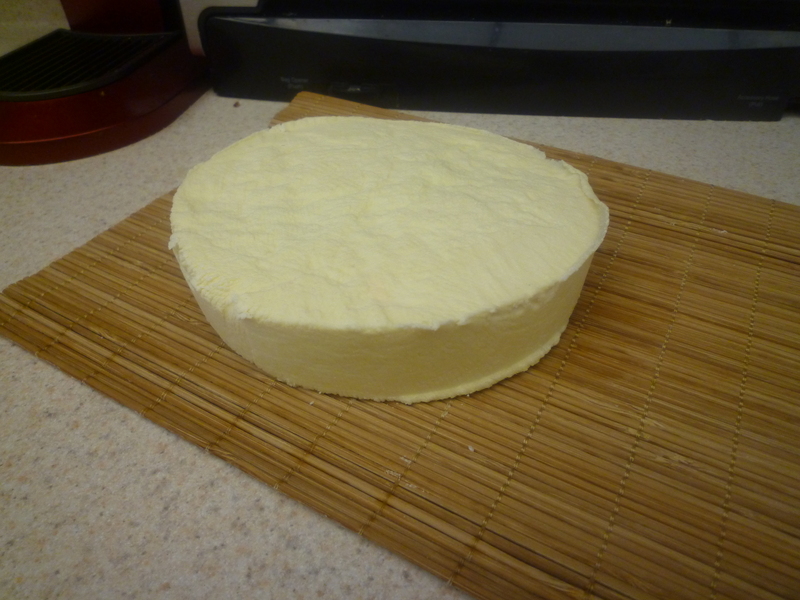 The cheese will get darker and firmer with age. Honestly, I’m not really sure how long I’ll let this one go. I guess we’ll see what it looks like a little further down the road. I’ll be sure to keep you in the loop. Who knows? Maybe this one will be a Christmas memory.